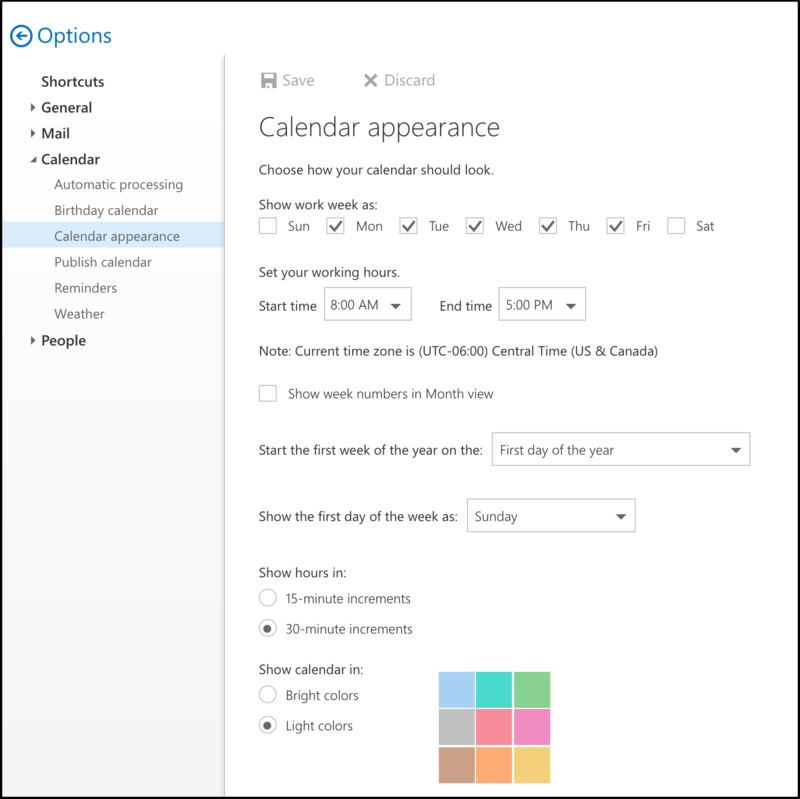 Follow these steps in Outlook on the Web (OotW) to customize your calendar and reminders. 1. From the Outlook on the Web (OotW), click the gear icon in the upper-right corner of the screen and select Options from the menu. 2. Click settings in the options pane on the left side of the screen. Set your working hours, work week, and first day of the week on the left. Customize reminders and determine how meeting notifications are handled on the right.